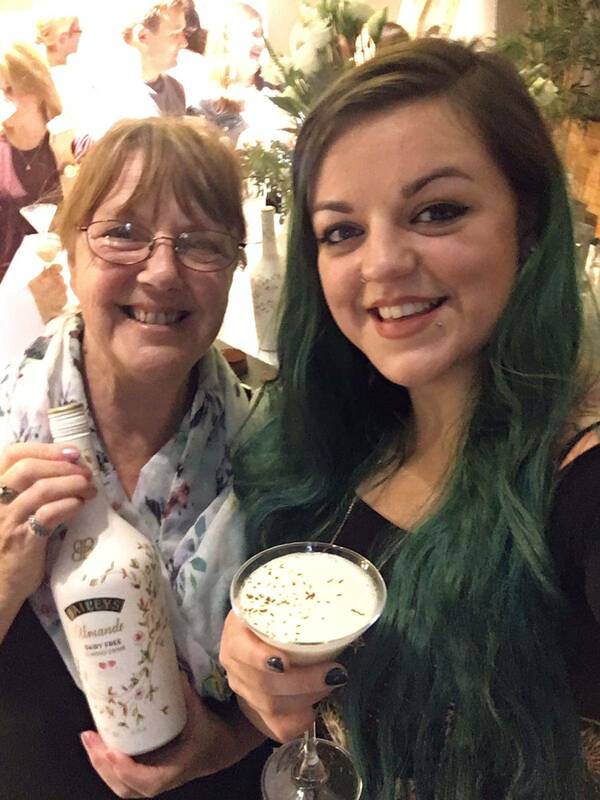 On Monday evening I took my mum to her first blogger event! 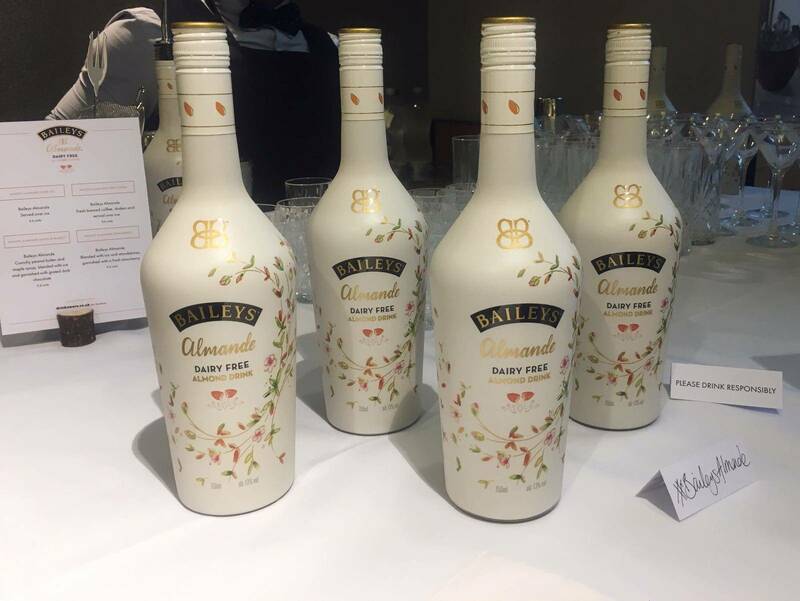 It was the UK launch for the brand new to UK, eagerly awaited vegan Baileys Almande & I’ll tell you what, it was certainly worth the wait. 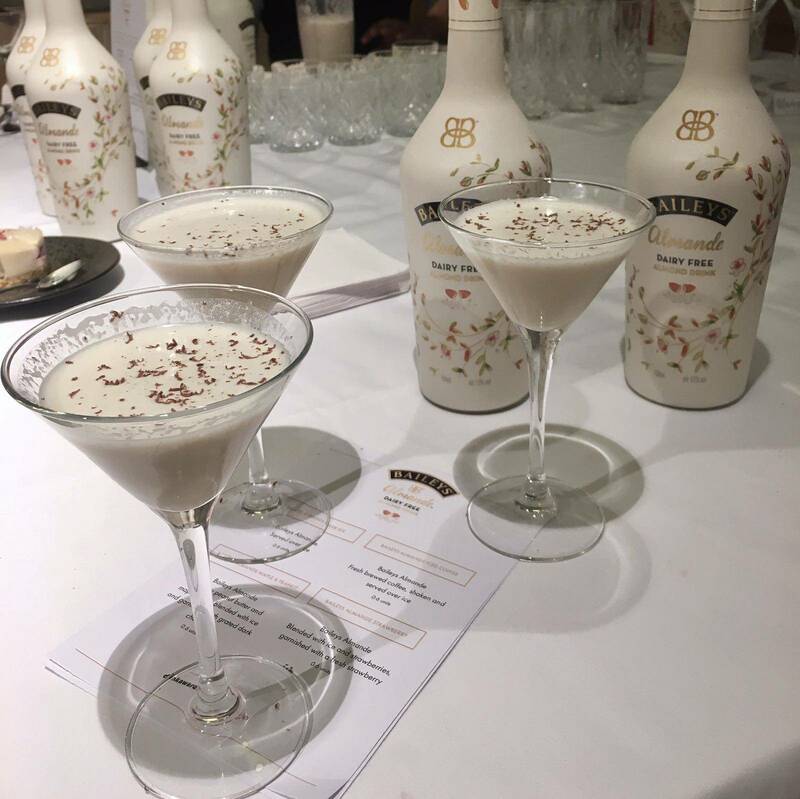 When we arrived at Whole Foods in Kensington there was a bar area set up with numerous bottle of the brand new Baileys product, as well as luxury truffle treats from Booja Booja and delicious looking vegan-friendly cheesecakes from a company called Honey N Date. 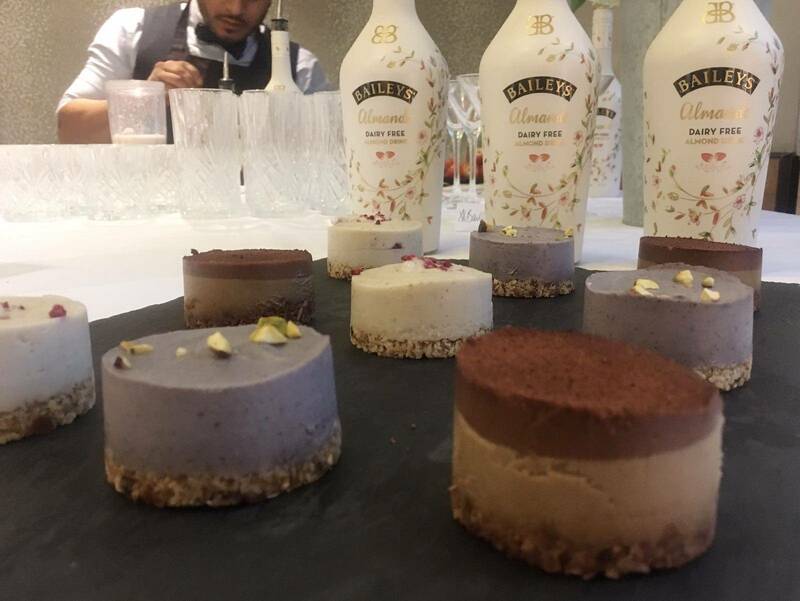 Now, the most important question: How did the vegan Baileys Almande taste? Well, I am very happy to report back that is tasted absolutely bloody delicious. Their vision to create an indulgent treat that can be enjoyed by those that can’t have or choose not to have dairy in their diets was certainly a success. It just so happens that as well as being dairy, and lactose free, it’s also certified gluten free too! The luscious drink is made with a blend of sweet almond oil, almond essence (from crushed almonds), cane sugar and purified water with a touch of real vanilla. It’s 13% ABV (as opposed to 17% ABV like the original), and although slightly lighter in colour, and not quite as thick as I remember, it feels just as fancy, and is perfect in a glass over ice. There is definitely a subtle almond taste, but it’s not at all in an overpowering-too-nutty way. The result is an incredibly versatile milky drink, that doesn’t curdle, and I’m here for it. We were able to try it on the rocks, or in a cocktail. There were three cocktail options: Baileys Almande Iced Coffee, Baileys Almande Maple & Peanut, and Baileys Almande Strawberry. All three were super tasty! I can’t wait to start experimenting with it, imagine how damn tasty it might be in an alcoholic milkshake, or a Pina Colada inspired cocktail type-thang? Dreamy! I loved the bottle design too, it was the recognisable Baileys shaped bottle, but the packaging couldn’t be more different. An off white subtly shimmering bottle with a delicate flower design. Perfectly festive but also light and summery feeling – all rolled into one. 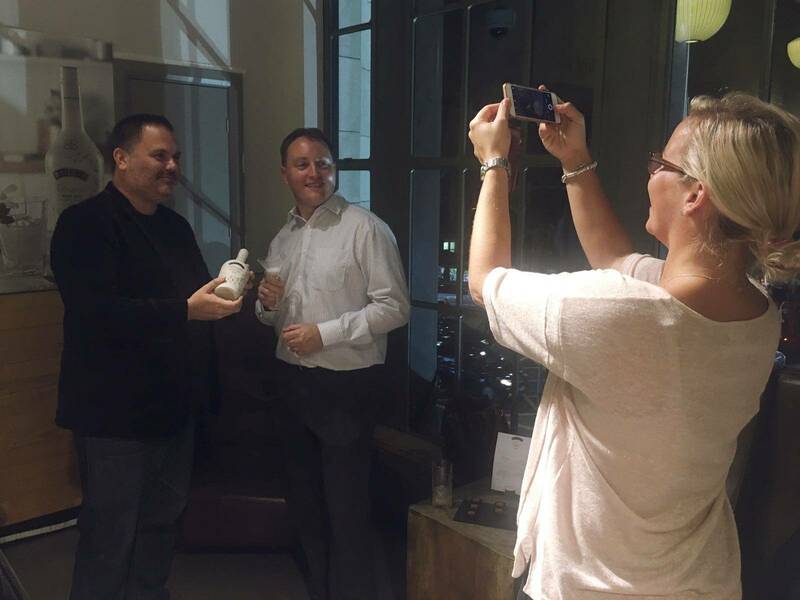 Also at the event was a man called Scott (pictured above with Sean from Fat Gay Vegan) who is one of the masterminds behind Baileys Almande and told me some interesting facts about the delicious new drink. It has been in development for a total of 4 years. At one point I overheard Scott speaking to my mum about other options they had tried – such a peas, but unfortunately the pea taste was just too powerful. 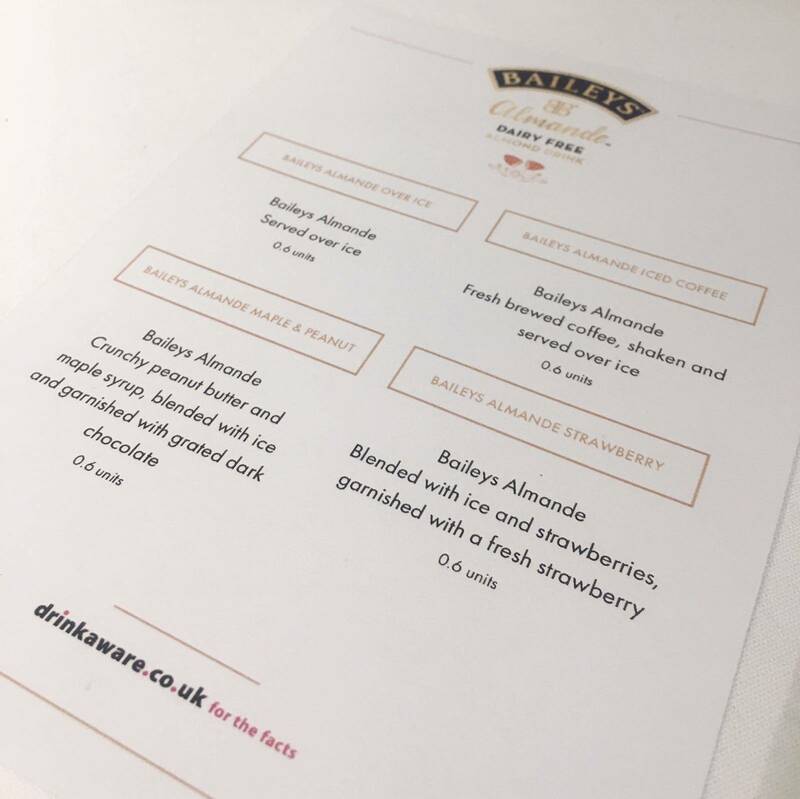 One of the most interesting things about vegan Baileys Almande in my opinion, is that it is actually vodka based as opposed to Irish Whiskey which is in the original. The reason for this is because of regulations on Whiskey and it not being allowed to be classified as gluten-free and they wanted this to be a ‘free from’ option available for everyone with dietary requirements! So, where can you get it? 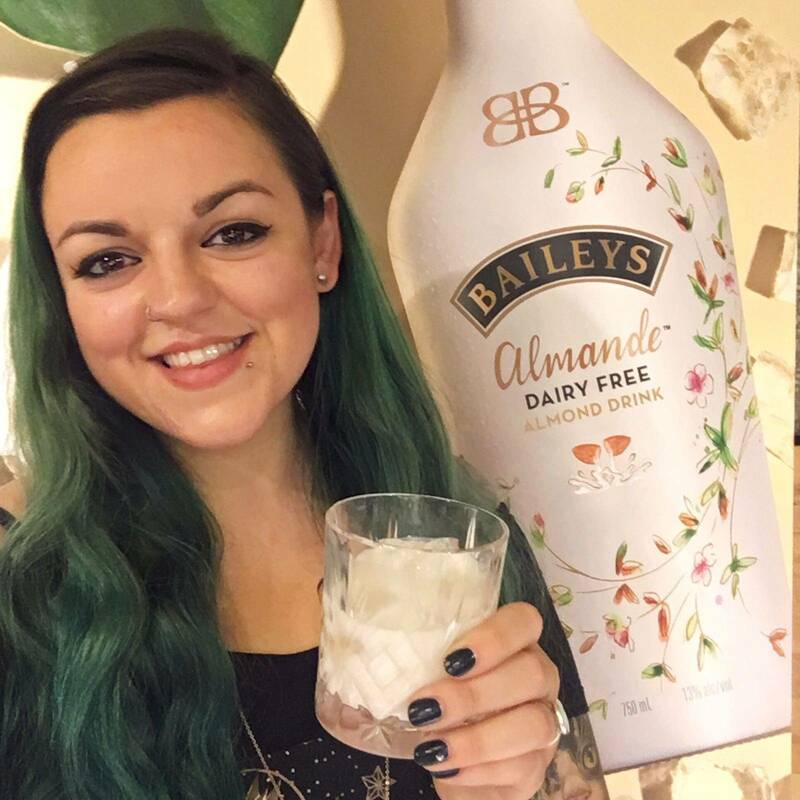 Retailing at £19.99, Vegan Baileys Almande is available in Whole Foods Markets nationwide the UK, and also available in Germany, through Veganz. It is being launched initially as a limited edition with Whole Foods in the UK, but I’ve been told to keep an eye on their social channels as they’ll be the first to let us know if and when it’s available more widely in other stores/supermarkets. 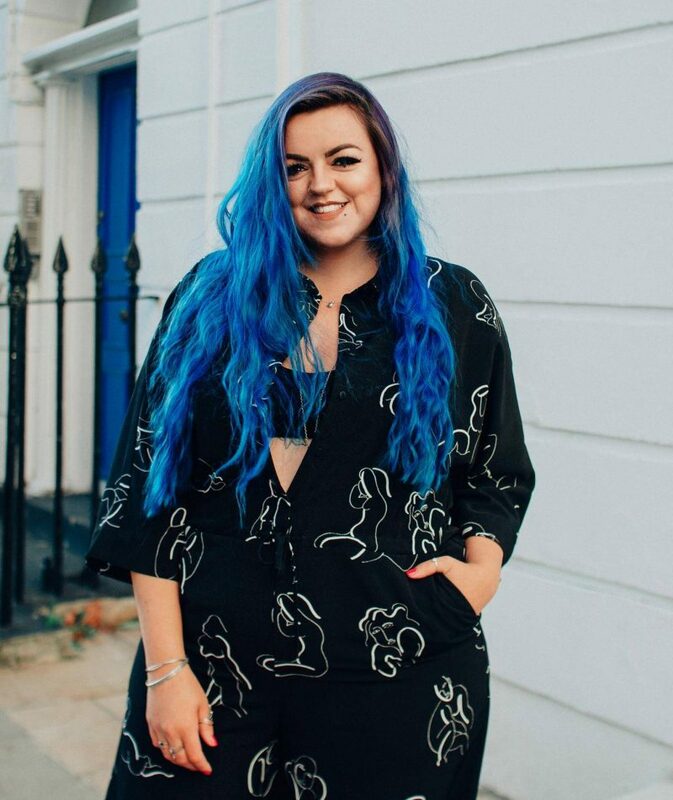 It’s a really exciting time for vegans (and non-vegans who fancy dabbling) with large companies that previously didn’t cater for the dairy-free crowd creating delicious alternatives and embracing the increasing demand! Ben & Jerry’s non-dairy ice cream launched in the UK earlier this month, and Pizza Hut have also announced they’ll be trialling vegan cheese on their pizzas – on their already vegan-friendly pizza bases. 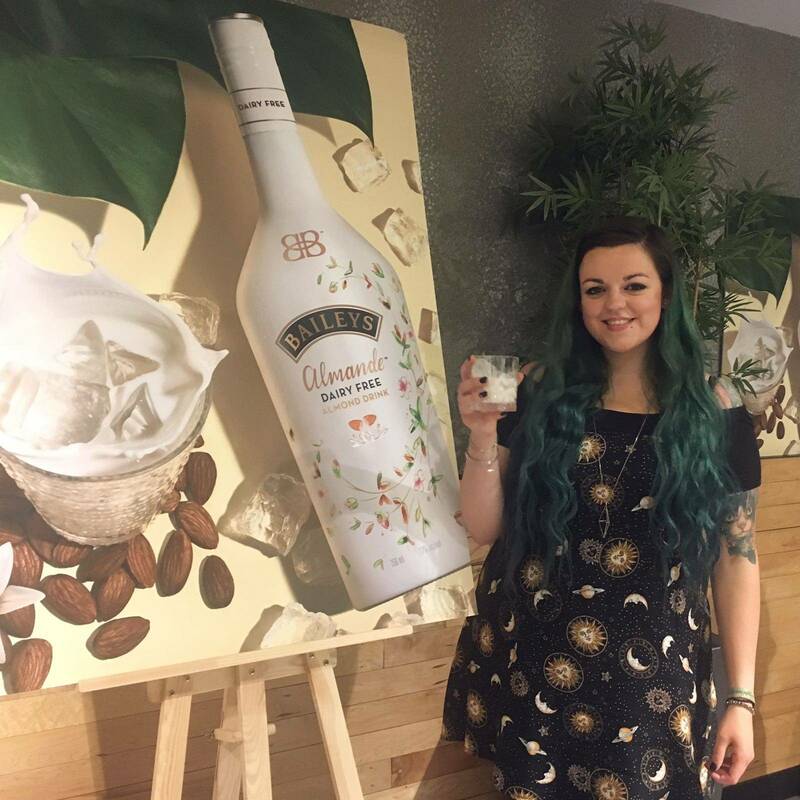 Overall the event, and most importantly the vegan Bailey’s Almande drink, were absolutely excellent. 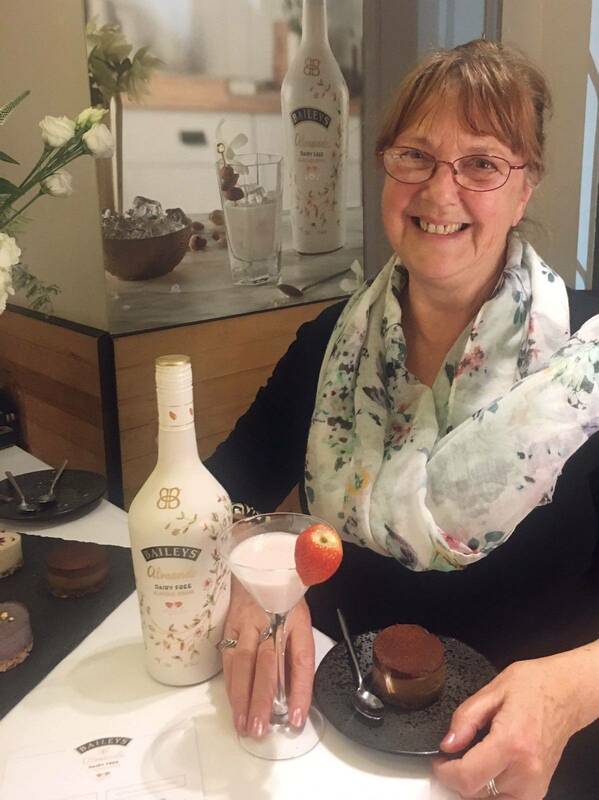 Thanks so much to Baileys and their PR for inviting me down. My mum and I had such a lovely evening, and it was so lovely that we got to leave with a bottle each! 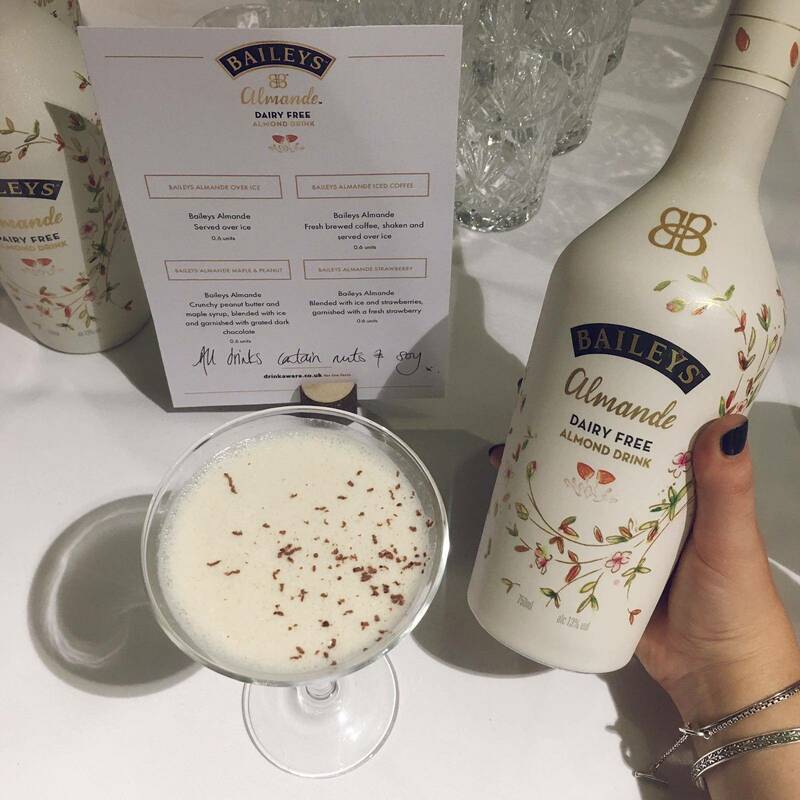 This new Baileys Almande may become my favourite – seriously delicious – everyone should try it asap. I’m looking forward to sharing it with friends and family. Love that they do a vegan Baileys!! And aw bless your mum, she looks like she had an amazing time! It’s so cool isn’t it – brand new to the UK, I’m just so happy they brought it over 🙂 Mum definitely did have a fab time, as you can see from the previous comment too, haha! I heard about it a few days ago and I really want to try it. Sounds fab. I’m glad you had such a wonderful time. Thanks so much for reading Anca! I hope you get to try some soon, let me know what you think if you do! I totally agree with you Maria! I love finding out about brands developing new products accessible for everyone, it shows they care about *all* of their customers and not just those that buy the “original” or “traditional” item. Let me know if you manage to try some and what you think of it! Enter your email address below and you'll receive notifications of new blogs directly to your inbox! Your Email Address Goes Here!